Las Vegas, Nevada - Patriot Gold Corp. (CSE:PGOL) (OTC: PGOL) announced today that its common shares have been approved for trading on the Canadian Securities Exchange. 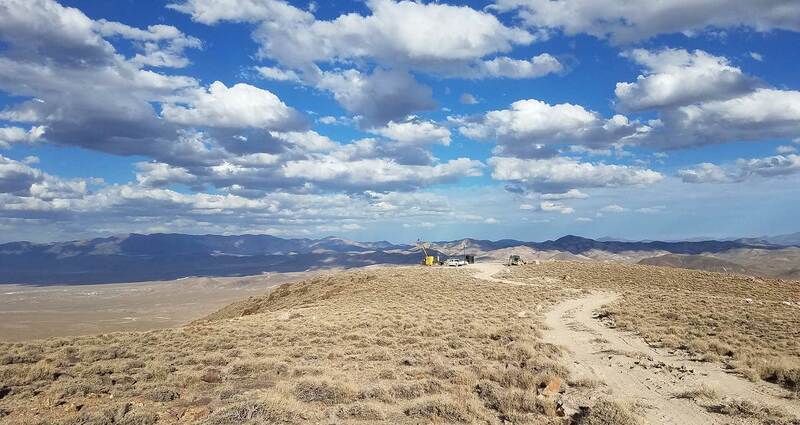 Patriot Gold Corp ("Patriot") is exploring its 100%-owned gold projects in Nevada, which include the Vernal project and the Windy Peak project. Patriot owns a 3% royalty in the Moss Mine in Arizona, scheduled to commence commercial production in 2017. Patriot also owns a 2% royalty in the Bruner gold project in Nevada. The foregoing technical information contained in this news release has been reviewed and verified by Zachary J. Black, Director and a Qualified Person ("QP") for National Instrument 43-101 (Disclosure Standards for Mineral Projects). Disclaimer: This news release includes certain forward-looking statements or information. All statements other than statements of historical fact included in this release are forward-looking statements that involve various risks and uncertainties. Forward-looking statements in this news release may include statements in relation to the timing, cost and other aspects of future plans, objectives or expectations of Patriot Gold Corp. There can be no assurance that such statements will prove to be accurate and actual results and future events could differ materially from those anticipated in such statements. Important factors that could cause actual results to differ materially from Patriot's plans include the risk that actual results of current and planned exploration activities will not be consistent with Patriot's expectations; the geology, grade and continuity of any mineral deposits and the risk of unexpected variations in mineral resources, grade and/or recovery rates; fluctuating metals prices; unanticipated costs and expenses; uncertainties involved in the interpretation of drilling results and geological tests; availability of capital and financing required to continue Patriot's programs and preparation of geological reports and studies; delays in the preparation of geological reports and studies; general economic, market or business conditions; competition and loss of key employees; regulatory changes and restrictions including in relation to required permits for exploration activities (including drilling permits) and environmental requirements; timeliness of civil government or regulatory approvals; and other risks detailed herein and from time to time in the filings made by Patriot with securities regulators. In connection with the forward-looking information contained in this news release, Patriot has made numerous assumptions, including that Patriot's future exploration programs will proceed as planned and within budget. Patriot expressly disclaims any intention or obligation to update or revise any forward-looking statements whether as a result of new information, future events or otherwise, except as otherwise required by applicable securities legislation. More information is included in the company's filings with the Securities and Exchange Commission, and may be accessed through the SEC's web site at http://www.sec.gov.